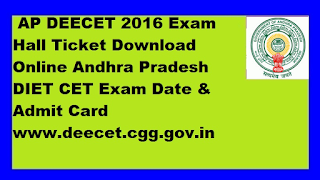 Andhra Pradesh DIECET Apply Online 2018: The Deportment of School Education of Government of Andhra Pradesh (DIECET) has invited the online application for the Diploma in Education (D.Ed.) two years course conducted by the Andhra Pradesh State Government. The DIECET Exam Is conducted annually. D.EL.ED Board has invited Application for the 2018-2020 D.Ed. Teachers Training Educations entrance test notification. Those young students who are choosing their carrier as a teacher this is the best way to prepare to choose has best option In this post we are giving of eligibility criteria, Syllabus, Exam Date, Admit Card Release Date, and Result. The Candidates who are qualify in this entrance test those are eligible for studying in the D.Ed. Colleges run by the Govt. and Private Elementary Teacher Training Institutions center across Andhra Pradesh State Wide. DIECET 2018 Online Application Starts from 28th March 2018 to 12th April 2018. Payment process through online only. The written examination date is 17th May to 18th May of this year. Students interested to begin their carrier as the teacher can apply for these AP D.Ed. 2018 before the last of submit application. Those aspirants who are joined in the D.Ed. 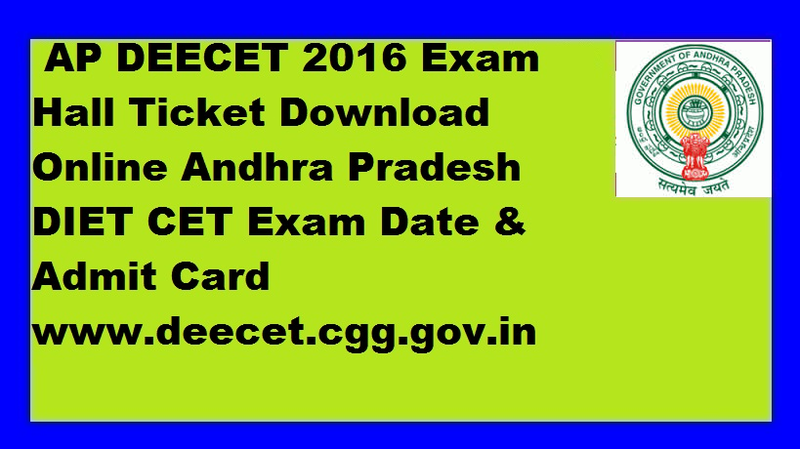 Education in Government and Private Colleges in Andhra Pradesh 13 District AP DIECET exam must be qualified in Entrance Test. The Common Entrance Test is held on the 17,18th March 2018. Those are qualify in the test are eligible for taking seat in Government T.T.C college and Some other Private Colleges recognized by the AP State. Those who are applied for DEECET 2018 examination candidates must be passed or attempted their Higher Secondary Level examinations. Minimum 50 percentages of marks should secure the written test for qualifying in examination. Age Limit: At least 17 Years of age for apply online. The Question Paper of DEECET-2018 consists 100 marks with objective questions. Studied two subjects out of Five Subjects viz.,Civics, Economics, History, Geography, Commerce. Who are attempted the diploma of education entrance test conducted by the AP government the results will be declared after 15-20 days. Below we are enclosed the direct link for see your result when results declared by the AP DED Recruitment Board.